Can I just say how much I love cooking dinners in the slow cooker? It’s quick to put everything in the crock pot in the morning, and in the evening you have a delicious dinner that took very little work to prepare. Not to mention the delicious smells that greet you every time you walk through the kitchen! 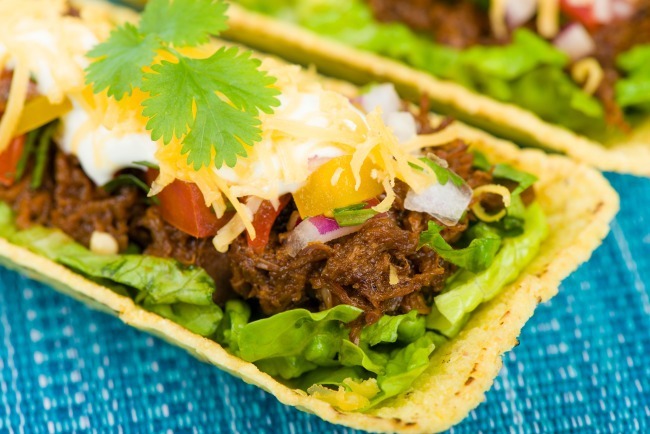 Try this recipe for Crock Pot Shredded Beef Tacos as a different alternative to traditional tacos. 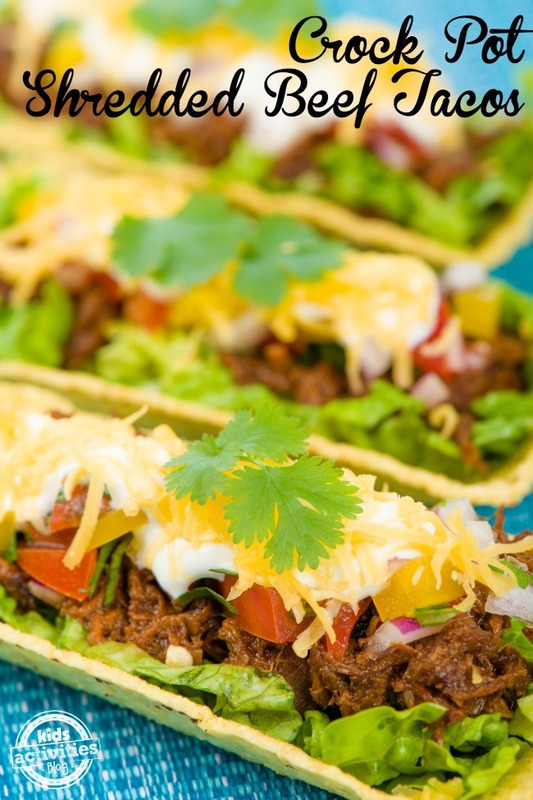 This super-tender dish would be perfect for your Cinco de Mayo dinner! Combine salt, chili powder, cumin & coriander; rub the spices all over the roast. Warm olive oil in a heavy skillet over medium-high heat. Sear meat on all sides, about 5 minutes total. Put meat in crock pot. Mix tomato sauce, chipotle pepper & garlic. Pour over meat. Cover & cook on low for about 6 hours, or until fork-tender. Shred meat with two forks & combine with enough sauce to moisten.